Vida Boheme: Ready or not, here comes mama! 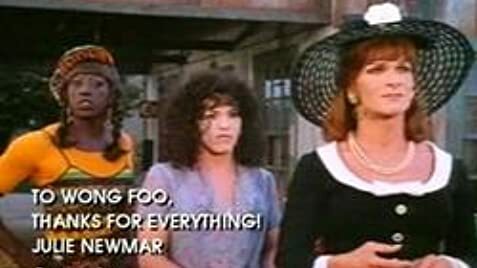 Q: Who is Wong Foo? Oh this movie is a lot of fun. Light, frothy, sparkling, shiny fun, fun, fun. So surprising to see such macho actors turn into attractive women---although, to me, in a lot of scenes with that short haired bob wig, Patrick looked like Jack Lemmon's character in Some Like it Hot. The plot of this film is very unrealistic and the town that they land in is something more out of the 1700's than the 20th century, but it is a funny film and also teaches us about tolerance and acceptance for and to others. I laughed so many times at this movie. It is a great comedy and wonderful entertainment. I highly recommend it. Some of these reviewers here who slammed this film really don't see or get the point in reviewing this movie looking for deeper meanings and criticisms all over the place. It is a light, funny comedy. It delivers and it is wonderful.